Eight ways a Brexit from the EU could affect homeowners - from property prices to extensions. How will a Brexit affect us as homeowners? For most of us, the referendum on our place within Europe is the biggest political decision of our lifetime. 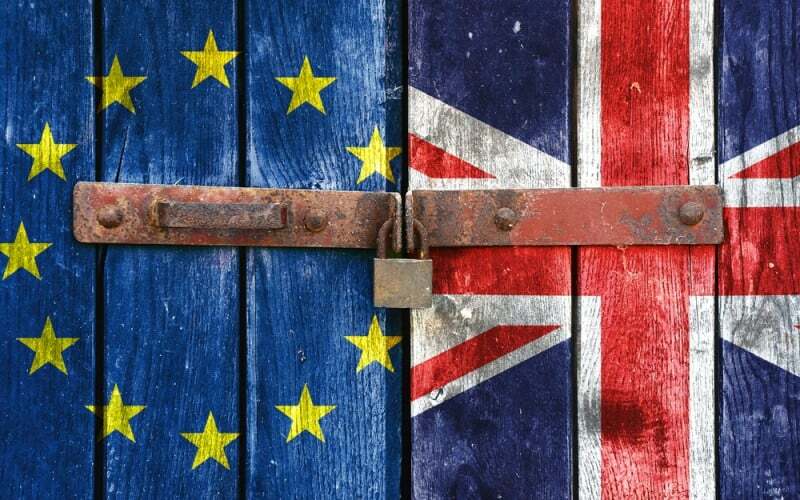 The debate is raging, and will no doubt continue to rage right up to polling day, about how a Brexit will affect our national trade and parliamentary sovereignty. The UK has over 17million homeowners with a further 5million aspiring to own their own home – so how will a Brexit affect us as homeowners? Most economists expect if we do vote for Brexit, it will lead to the pound Sterling falling in value. That will make imports (such as German-made fridges and washing machines) more expensive, and lead to increased pressure on the Bank of England to put up interest rates. Most economists think that a vote for Brexit is likely to mean that the cost of your mortgage will rise faster than it otherwise would. This, in turn, would have a dampening effect on house prices. It is claimed that if we vote to leave the EU, then the UK could do more to reduce immigration to these shores (particularly from Eastern Europe). That would reduce demand for housing, and so house prices are likely to rise less fast than they otherwise would (or even potentially fall) – making it easier for first time homebuyers to get on the housing ladder. On the other hand, our building sites are dependent on Eastern Europeans, and so a clamp down on Eastern European immigration following a Brexit could lead to a shortage of plumbers and electricians. This could put up the cost of building houses and doing-up homes. Better get your bathroom fixed before the referendum! The EU has regulations on where we can build houses, which were mentioned by Justice Secretary Michael Gove as one reason to leave the EU. In particular, he mentioned a ban on building houses too close to heathland in case domestic cats go out and eat the birds. So if we have Brexit, it could be easier to reduce some restrictions on planning and housebuilding, helping us increase the number of houses that are built. That in turn reduces pressure on house prices, making it easier for first time buyers. But may not be good news for our birds or green spaces. For all the reasons outlined above, as well as increased economic uncertainty, at the HOA we think that leaving the EU would lead to downward pressure on house prices – they might not actually fall, but they would rise more slowly than they otherwise would. The bank, Morgan Stanley, has forecast that top end London property prices would drop 10%-20% in the event of a Brexit, but that is likely to be the extreme end. One survey showed that most people thought a Brexit would lead to a rise in house prices – but it is difficult to see why that would happen. It is an EU requirement to have these when selling or buying a home. Leave the EU, and EPC’s could well follow, very slightly reducing the cost of moving. This is likely to be followed by the ditching of the EU target for Zero Carbon Homes by 2020, another one that is not massively loved by the government. Most of our recycling laws are derived from the EU, including the requirement to recycle electrical goods (the WEEE Directive). So potentially, if we left the EU, the government could make it easier for us to dump old computers, TVs and hairdryers, and just throw more stuff into landfill. But that would cause an eco-outrage, so we think such a change is unlikely (and in our humble opinion, unwelcome). The EU sets the broad bands of VAT that member states must apply, and countries must get approval to change the rate. So theoretically, if we left the EU, the government won’t need to ask to reduce VAT on extensions to the same level it is on new build – that is 5%. The HOA has been pushing for reduction of VAT on building work to align it with new build, but the government hasn’t budged. So it seems unlikely that leaving the EU will make any difference in practice. The EU also stipulates that the minimum VAT on domestic energy bills should be 5%, which stopped the last Labour government going through with its pledge to cut it to 0%. But VAT on gas and electricity bills seems to have gone off the political radar, so although the government could scrap tax on home energy bills if we left the EU, it also seems unlikely to happen. There are quite a few reasons to think there could be downward pressure on house prices, upward pressure on mortgage costs, slightly lower moving costs, and more expensive extensions. So if you are mortgage free, trading up, with no plans to do building work, you could be better off. But if you have a big mortgage, are trading down and want to refurbish your new house, you could be worse off. Like all economic predictions, this all comes with a blood-pressure raising big dose of salt. Most people thought that the City of London would be finished if we didn’t join the Euro, but it went from strength to strength. No one knows for certain what will happen if we leave the EU – no country has done this before – which is why there is such a debate about it. Paula Higgins, founder and Chief Executive of the HomeOwners Alliance (HOA) is available for interview, comment and articles. The calls to cut the 5% VAT on extensions and repairs is a wider campaign run by FMB.